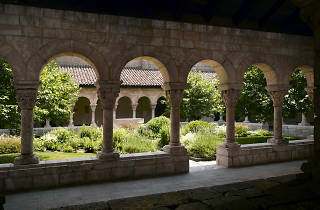 Set in a lovely park overlooking the Hudson River, the Cloisters houses the Met’s medieval art and architecture collections. A path winds through the peaceful grounds to a castle that seems to have survived from the Middle Ages. (It was built less than 100 years ago, using material from five medieval French cloisters.) Be sure to check out the famous Unicorn Tapestries, the 12th-century Fuentidueña Chapel and the Annunciation Triptych by Robert Campin. Really awesome gem in the city, I went to see the Heavenly bodies exhibit which was fantastic. 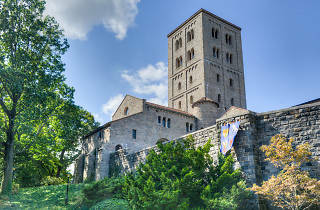 I'd been wanting to go to the Cloisters forever but never wanted to take the trek up to Washington Heights. Luckily my friend drove us and there was plenty of free parking. I'm not sure how it would be without the Heavenly Bodies piece but from what I could see there were a lot of cool art pieces, medieval tapestries and history. The gardens were beautiful (I also love botanical gardens). Lot's of great instagram moments and very refreshing to find a hideaway just 30-40mins outside of the heart of the city and really does feel like you've stepped back in time. I would come back again to see how it is without the heavenly bodies exhibit and maybe inquire more about the history. 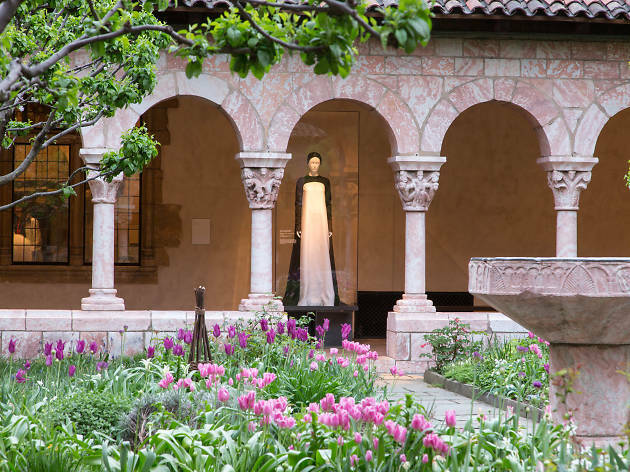 A stunning art gallery that is part of the Metropolitan Museum, with an incredible location in Fort Tryon Park, and a gorgeous collection of medieval art, including tapestries. The building is a lovely place just to wander around or have lunch or coffee. You won't feel that you are in NYC here but instead in a rural Italian monastery. For extra fun, take the M4 bus there from Madison Ave in midtown for a really interesting ride through a variety of neighborhoods. I love this place, great history and very helpful staff. It's also in a beautiful neighborhood and it's in my favorite park in the city! The Cloisters are absolutely stunning - regardless if you love medieval art and architecture or not. There's something for everyone here - from gorgeous outdoor (Instagram-worthy) gardens to ancient jewelry to gigantic unicorn tapestries. Yes, you read that right, you can go to an offshoot of the Metropolitan Museum of Art and look at a room that's dedicated to unicorns (and also a narwhal tusk). You can easily spend an afternoon here, but try to time your visit to when you can spend some time in the museum cafe. It's pricey for what it offers, but when will you next get the chance to sip coffee in a medieval garden and feel like you've been transported to Europe? It's completely worth it, and this is a must-see when you're in NYC. 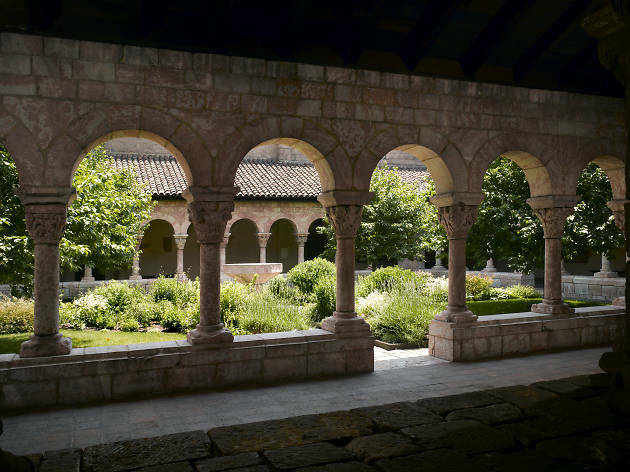 When you get to the Cloisters, you feel like you're miles away from the city. You feel like you're in a castle overlooking the river, guarded from the horrors of the L train, people shouting at you in the streets and obscene levels of honking. You pay what you wish then enter a rather somber shrine to the past, to a time of religious piety I'm glad I wasn't around for. My favorite pieces were the gilded books—I hate tedious tasks and am awed by the amount of devotion and patience these tasks took. The intricate carvings and giant unicorn tapestries were also fascinating. There's even a huge narwhal tusk! The Cloisters are gorgeous. 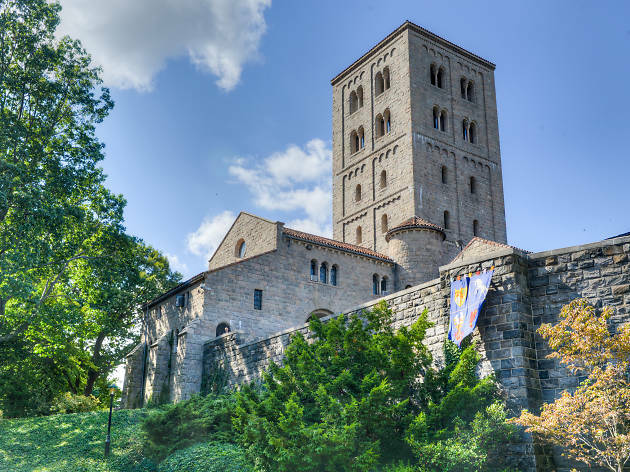 They are situated in Fort Tryon Park, which has stellar views of the river, and to get to the Cloisters, you have to wind your way up the path that circles the hill until you get to the very top, where the Cloisters are. My favorite part, as I suppose everyone’s is, is the garden courtyard. You can sit on the short wall and take in the colorful flowers and gaze up at the tower. The Cloisters have quite a bit of history for nerds who enjoy stuff like that. Also a great place to take people who are into architecture. If you're into long bike rides, you should definitely bike up the Hudson Greenway to the Cloisters. The route becomes a little difficult as you near Fort Tryon, but really it’s fairly easy and absolutely gorgeous. The price should really be marked either free or one dollar sign since the prices listed are only suggested entrance fees. 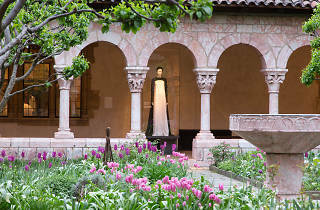 Since The Cloisters is part of the Met, entrance costs whatever you wish to pay.